2019 ADMISSIONS OPEN – APPLY NOW! This exclusively field-based program, now in its second year, aims at familiarizing participants with the professional excavation of human remains from archaeological contexts. 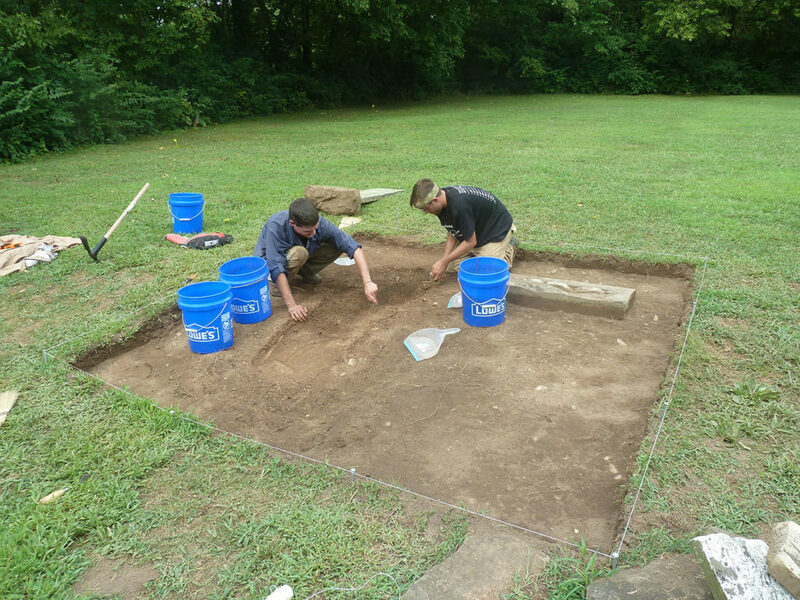 Participants will work side by side with professional archaeologists and bioarchaeologists in the excavations of a historic cemetery in central Ohio (HTCC). 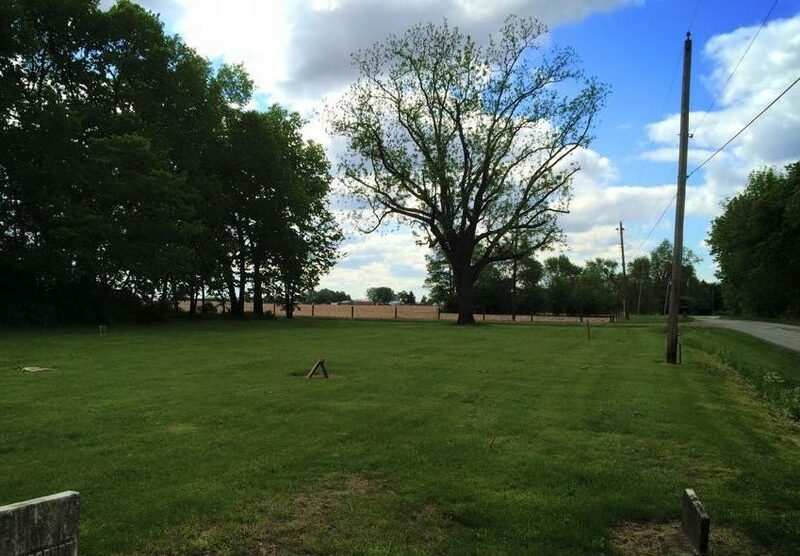 The cemetery, located just 20 minutes away from downtown Columbus, was originally established as early as 1804 to serve as a burial ground for the local community. Due to its proximity to the Ohio-Erie canal, the site was subsequently used as a resting place for victims of the infectious disease cholera – an infection of the small intestine that killed tens of millions of people worldwide through various pandemics since 1815. The cemetery remained in use until 1859. Preliminary investigations at the site have revealed the presence of several single burials with predominant east-west orientation, which appear largely undisturbed and lined up in the western two thirds of the cemetery. Several tombstones or simple markers are scattered throughout the field, but evidence of vandalism and consequent removal and restoration attempts by the township administration suggest that their current location does not mark any specific graves and does likely not correspond to the original layout of the cemetery. Locating individual and mass graves, which, following years of neglect and several episodes of vandalism, are no longer marked. If gravestones can be found, they will be erected to mark actual grave locations, thus restoring the cemetery’s original appearance. Comparing skeletal and genetic characteristics of cholera victims and non‐victims to determine whether certain factors predisposed individuals to perishing from the disease and possibly improving modern approaches to treating the disease. 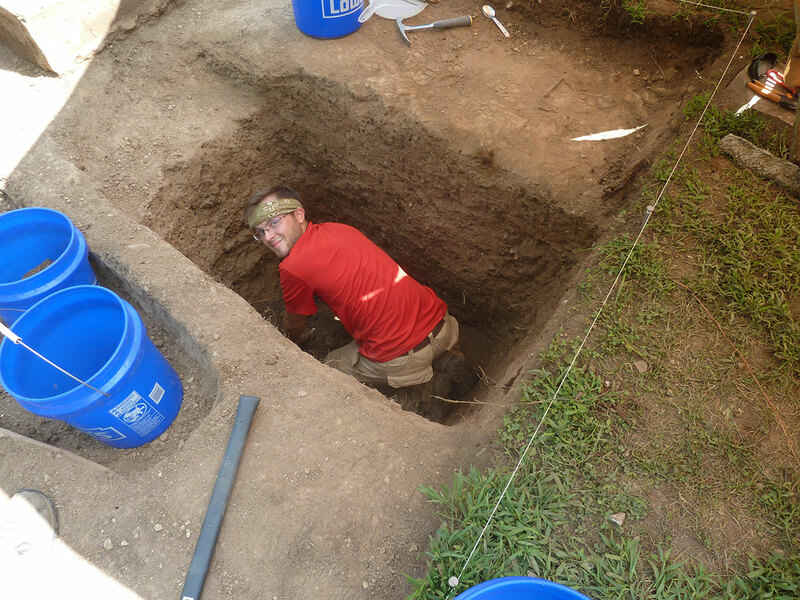 The field experience is designed to provide participants with first-hand experience of the archaeological and bioarchaeological field methods applied in a professional excavation. Typically, participants will work alongside researchers in a variety of activities, including survey, excavation of human remains, and documentation of findings. Given the research focus of the project, no formal lectures will be held and the didactic components of the field experience will be limited to hands-on excavation and work under the supervision of senior personnel. Excavation will take place daily, Monday through Friday, between 9:00 am and 5:00 pm, with a short lunch break. All participants will be required to attend a general orientation at the beginning of the program, and daily briefings in the morning prior to starting fieldwork. IRLAB does not provide meals, lodging or transportation as part of this program, and participants are expected to make their own arrangements. To accommodate individuals with varying academic calendars, IRLAB has added a four-week option to the field experience. This option will run concurrently with the original five-week program, starting one week later and ended at the same date of June 7th, 2019. Participants choosing the four-week option will still receive a full bioarchaeological excavation experience, however, those available for the five-week option may gain additional insight and experience with the process from start to finish. The program accepts a limited number of participants and welcomes applications from undergraduate, graduate, and post-graduate students in archaeology, anthropology or allied disciplines from any country and institution. Current enrollment in a university is not a requirement. Local high school students and other members of the local community are also welcome to apply. All applications are evaluated equally and acceptance decisions are primarily based on merit. The program has no formal prerequisites and participants will be fully trained for all the activities they experience. Individuals interested in applying for the field experience must fill out and submit the online Application Form. The application deadline is April, 30 2019. However, applications are reviewed as soon as they are received and successful applicants accepted on a first come, first served basis. Curriculum vitae and/or reference letters (e-mails) may be requested. The staff reserves the right to verify any of the information reported in the application form and request supporting documentation (e.g., advising reports; references) in its sole discretion. Staff will make final decisions regarding enrolment. Acceptance will be communicated by e-mail. Participants must provide information on their health and complete a physical examination. Participants must have valid health and injury insurance and must provide the insurance provider’s contact information, as well as the policy number, including a proof of tetanus vaccination (or booster) within the last 10 years. All participants must read and accept the terms of the IRLAB Participation Agreement to participate in the program; a signed release form must be submitted prior to the start date of the field experience. Participants will be required to pay fees in full within 15 business days of receipt of the invoice in case of admission. In case of participant withdrawal, all fees minus a non-refundable deposit of $300 will be refunded until March 31st, 2019. After March 31st, 2019 fees will not be refunded. In the unlikely event of program cancellation, fees will be refunded in full (any applicable processing fees may not be refunded). Failure to provide any of the above-mentioned documents and payment within the terms specified at the time of admission will constitute an automatic forfeiture of the participant’s place in the program. 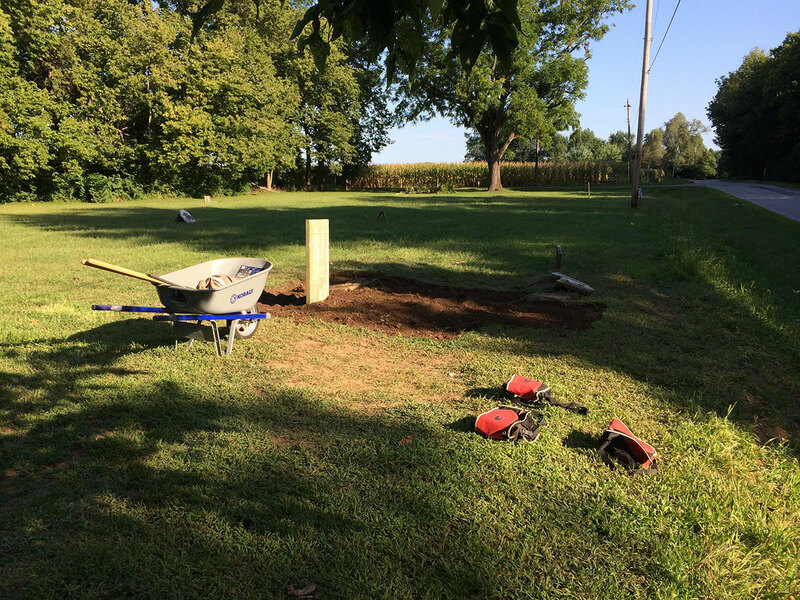 Participation fees cover general excavation equipment, personnel costs, and participant insurance; a personal excavation kit will also be provided to each participant. Fees do not include lodging, meals, transportation, personal gear and equipment, or any other costs not expressly specified. Additional documentation and/or payment processing fees (not to exceed $50) may be applied to the final invoice. Loyalty Discount – A 10% discount ($100) is available for students participating in more than one of IRLAB’s 2019 field-based programs (i.e., discount is not applicable to laboratory-based programs and short courses) and for individuals who have previously participated in other IRLAB programs. Discounts cannot be combined – the greatest discount available will be applied to the invoice upon receipt of supporting documentation. “Archaeologist for a day” Outreach Program – Members of the local community (i.e., residents of Fairfield, Fayette, Franklin, Madison and Pickaway county) interested in learning more about the practice of archaeology may also participate in the excavation for a day at no charge, provided they will meet all other program requirements. If you are interested in joining us in the field for a day, send us a message. Upon successful completion of the program, participants will receive a certificate of completion from IRLAB. No academic credits are offered, but IRLAB is open to working with a participants’s own institution on credit recognition for the experience. To this end, upon admission in the program, participants will need to make arrangements to enroll for independent study with an academic sponsor at their own university, who will then assign a grade based on IRLAB’s staff recommendations.